When you run a marketing campaign of any kind, be that online or offline, you’re looking to generate a response. That response could be in many forms, depending on the nature of your business and the lead itself. Sending people to your website is one very common approach. Even if your aim is to get responses over the phone, you’ve probably included a website address on your marketing material. Most online campaigns direct traffic to a website from various sources; social media, search engine adverts, email campaigns or other forms of advertising. 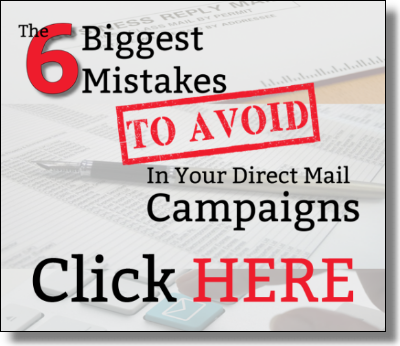 Direct mail campaigns also give people the opportunity to visit a website landing page. After a marketing campaign has done its job; generating interest and enabling people to take action. It’s time for your website to deliver as well. There is a reason that some websites perform much better than others and it’s all to do with conversion optimization. Conversion optimization is the ability to optimize your website in the best way to achieve optimal action (conversions). To put that more simply, a conversion could be a sale. It’s about turning a visitor into a sale by taking various steps to make that process more efficient and simpler to the customer. Everything impacts conversion optimization; the color scheme of your website, the layout, images, and wording. CTA’s (call-to-action) are crucial because they guide the customer from their initial arrival to the completion of a lead or sale. You need to tell your customer what to do at every stage of the process. Bold ‘Click Here’ or ‘ Buy Here’ buttons where necessary. Strategically placed call-to-actions create a purpose for the visitor. Perhaps they need to learn more about your service or process before a considered purchase. This is especially true for larger purchases. CTA’s need to reflect this and guide the visitor through those stages before taking them to a purchase page. CTA’s do not need to be buttons, in fact, linking anchor text can convert better than buttons in some cases. The trick with conversion optimisation is to test everything. Split test subtle changes on your website for accurate results and make changes incrementally. The speed that your website loads at has always been crucial, whether you’ve realized it up until now or not! Site load speed is also a contributor to SEO, so slow loading sites are certainly not rewarded in the rankings by Google or other search engines. More importantly though, is the impact page load speed has on conversions. Even just an improvement in page speed by as little as 1 second can make a massive difference. According to fastcompany.com ‘Amazon’s calculated that a page load slowdown of just one second could cost $1.6 billion in sales each year’. Increases in page speed of just 1 second have an even larger impact on mobile websites. The navigation of your website is arguably the most important element of conversion optimization, although ultimately it’s many factors working together. If it’s even slightly difficult to find information on your website or browse products then this is guaranteed to be impacting sales. Everything should be clear from the home page. Can visitors find the contact information in one click? Can they search for a specific product if they wish? Are your product categories clear and easy to access? On the other side of this, simplistic navigation wins out over too many options. So it’s about finding that balance between ease of navigation and simplicity. In the end, it all comes down to testing. Some things are black and white; improving page load speed will make a difference. However, with other elements, you should never assume something is going to improve conversions, don’t make permanent changes based on an assumption. Test your theory and then compare the before and after results.